That exists between here and nowhere. The sky opens to my prayers. “Beautiful” by Indie Arie is one of those songs I listen to at moments in my life when I need to hear something gentle, hopeful, soulful and…well…beautiful. Because when I listen to Indie sing this song, I feel the same way I did when it was first released on “Acoustic Soul” in 2001. I feel held, supported and understood, because I know plenty about wanting to “live inside the glow” as I’m sure we all do. Indie Arie is one of those rare artists whose appearance and presentation she never allowed to stray too far into gimmick. When she sang “I am not my hair,” it was a genuine message sent out to women of color everywhere that we should not define ourselves based on other people’s expectations of how they think we should look. We need more Black female artists like Indie Arie who not only sing with a message about accepting ourselves for who we are within but who also lead by example. 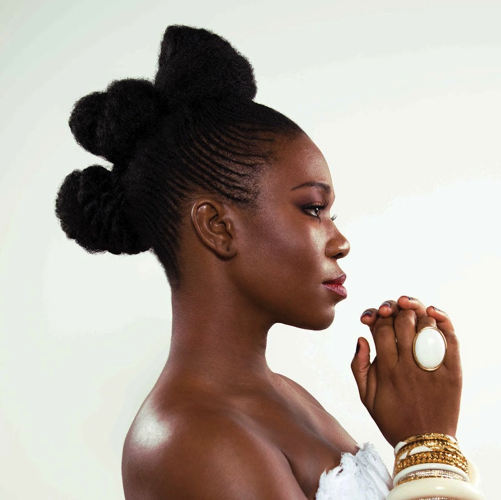 Indie Arie represents pride in her race, her culture and in the beauty of her femininity. She is always seen rocking an eclectic, Urban and African inspired look, celebrating her natural hair and gorgeousdark skin. And she has never compromised her image or her message to feed a market heavily catered to with empty, superficially packaged personalities.We are worth so much more than that and Indie Arie’s music is a brilliant and rich testament to our worth. She inspires us in ways she may never know and I thank Goddess for Indie Arie’s commitment to remaining authentically herself.